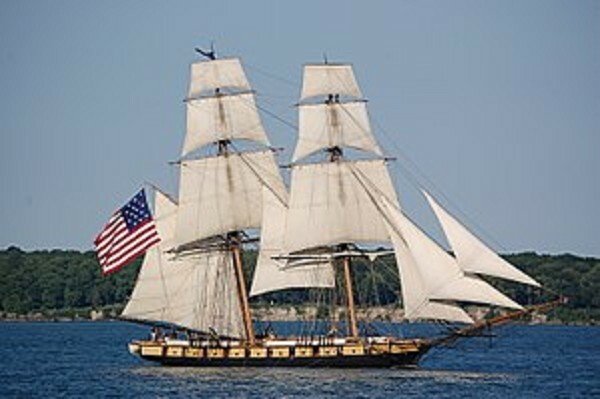 Historic reproduction of US Brig Niagara, Admiral Perry's flagship from War of 1812. It's not just for tourists. Eleven magnificent sailing vessels are expected to bring thousands of eager visitors to Bay City July 18-21 for the Tall Ships Celebration 2019. Among the ships slated to call here is the U.S. Brig Niagara, a reproduction of Commodore Oliver Hazard Perry's flagship from the Battle of Lake Erie in the War of 1812. Foremost among goals of the Tall Ship Celebration is education, with several ships whose mission is sail training for students of all ages. Notable in the fleet will be the Picton Castle, a 179-foot long barque hailing from the Port of Avatiu, Cook Islands. "Being with nature on a quiet sailboat on a breezy summer day can have a tremendous effect on a one's state of mind and outlook on life," states the program's publicity material. 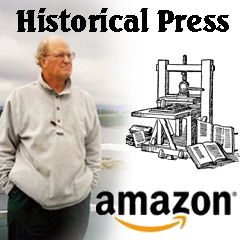 Halcyon times when clipper ships, including some built in Bay City, ruled the seas, provide the historical insight to enlighten young and old. Two tall ships, whose home port is Bay City will shake out their sails for the event are Appledore V and Appledore IV, familiar sights on the Saginaw Riverfront in Bay City. Appledore IV is owned and operated by BaySail, a non-profit organization whose mission is to "foster environmental stewardship of the Saginaw Bay watershed and the Great Lakes ecosystem and to provide personal development opportunities for learners of all ages through shipboard and land-based educational experiences." Since its founding in 1998, more than 48,000 young people have experienced a BaySail education program, according to Shirley Roberts, executive director of BaySail. St. Lawrence II, brigantine hailing from Kingston, Ontario.